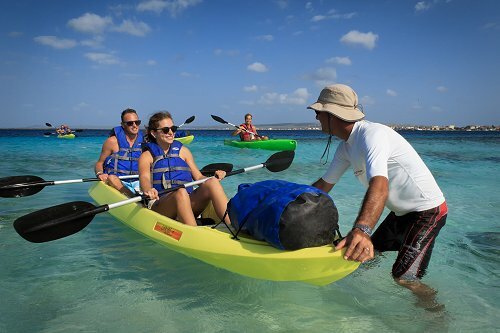 Our most popular glass bottom guided kayak tour takes you from the starting- and ending point Cha Cha beach, along the boulevard of Bonaire's capital Kralendijk, to the popular public beach "Te Amo beach". 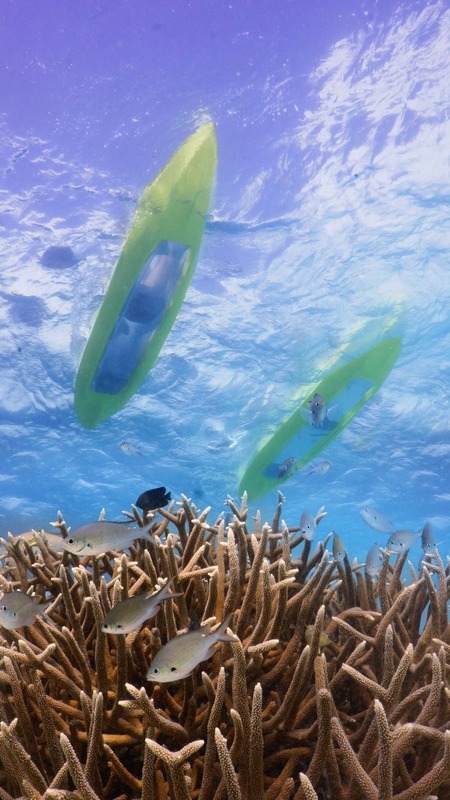 At Te Amo beach you have the opportunity to relax on the beach or to go snorkeling and enjoy the coral reef and marine life. Our staff will meet us on the beach to assist you and the kayaking guide to pull the kayaks on the beach. They will have snorkeling equipment and cold water for you. Aside from the standard tour, we can sit with you to discuss options for your ideal customized kayak trip. Together, we will choose your ideal location for a kayak trip and discuss the logistics and extra additions that you desire. Two seated glass bottom kayak with two double sided paddles, life vests, snorkeling equipment, water bottles. Please check with us for minimum age. It depends on experience and weather conditions. Options are subject to change due to weather conditions. Would you like some catering on the destination location to complete your event or customized trip with family or friends? Just ask! We'll gladly organize your custom kayak trip with the help of our professional friends.